A little under 40 nautical miles remain for the leading boats in the 2018 Atlantic Cup! 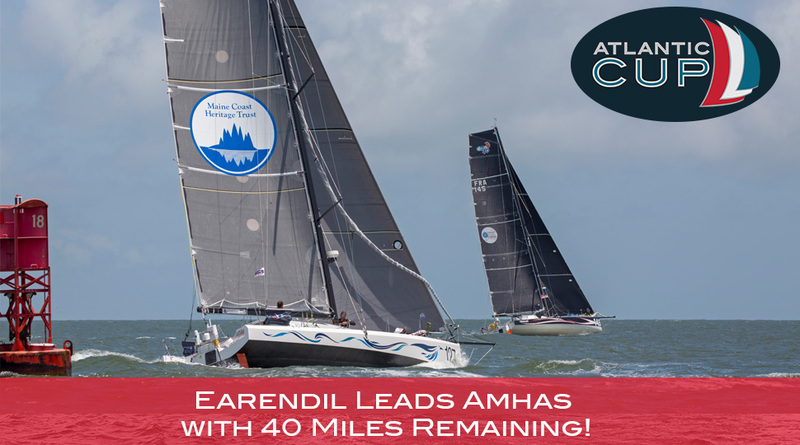 #145 Eärendil, leads #127 Amhas by some six miles as they race north along the New Jersey coastline in search of favorable conditions. Over night the two leading Class40s played the light, fluky conditions perfectly putting some 40 nautical miles on the remaining fleet. The race for third is utterly unpredictable with each of the other nine competitors willing and capable of taking the final spot on the podium. 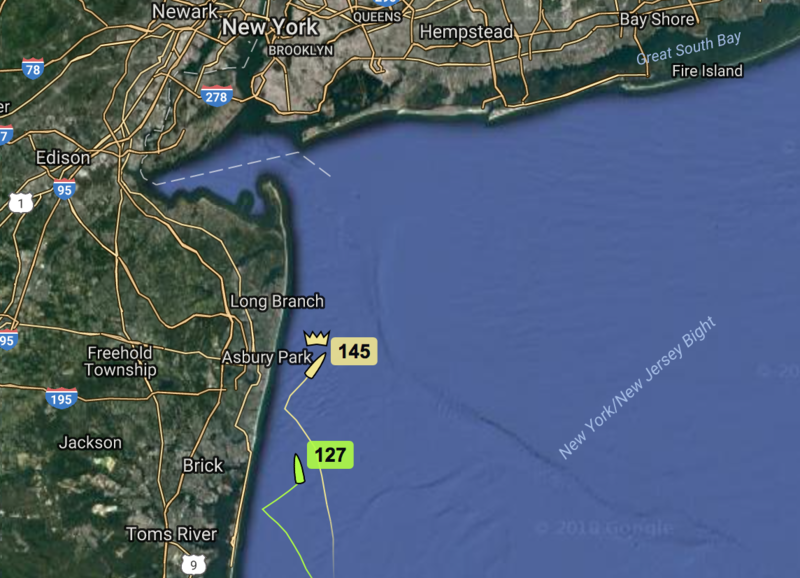 The final stretch into New York Harbor and the Angola Cables Finish Line has the potential to provide some of the hardest and most frustrating miles of this 640nm race from Charleston, South Carolina. This morning finds the bulk of the fleet working through a fluky wind set up by converging pressures. Their chosen position has left three camps of strategy: nearshore, offshore and middle. At the moment, the competitors are sailing to make the best velocity course towards the finish hoping to be the first into the more stable winds expected just a few miles further up the course. Those on the outside have the hardest position to overcome but the lead boat positions suggest there may be a shore breeze beginning to fill that could possibly balance a wind system and leave holes for nearshore boats to fall within. These final few hours will require patience, unwavering focus and the ability to keep boat speed at a maximum in such challenging conditions. 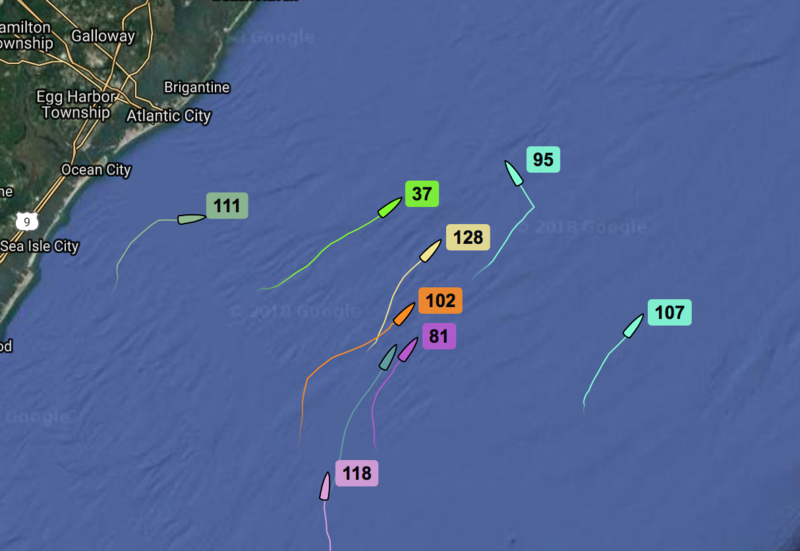 The first boat to cross the Angola Cables Finish Line is expected mid-afternoon however conditions make providing an exact approximation very difficult. The finish can be seen from Liberty State Park and the boats will be berthed in Liberty Landing Marina.